I miss being a Runner. The call came on Friday afternoon, there treatment facility is recommending their highest level of care: Partial Hospitalization. I am both thankful and horrified. I know I need to get better but since when did I get sick enough to barely get medically cleared enough for the most intensive outpatient program available to ED patients? The obstacles now: figuring out my work situation (I work full time) and get everything sorted out with FMLA and time off and money and insurance and admission dates, oh and the most challenging obstacle: figuring out some kind of plausible lie so that my whole (very gossipy) office doesn’t get into my business. That last one is by far the most challenging. But, I have to do what is best for me no matter what. My ED has been just positively TERRIBLE the last few days since I heard from the treatment center and it doesn’t help that my body is almost screaming for food (it’s in one of its cycles where after I have been restricting for so long that my body starts to tear me down mentally to try and get food) but I can’t give in because my ED is just so much stronger than normal. I think it has something to do with knowing it is about to have to eat that makes my ED stronger, just trying to prove that I need to retreat from this “recovery” and run to save myself and it is taking every ounce of my being to keep going and keep seeking out treatment as the admission process progresses. With this also came the very real realization: I am going to have to forfeit my marathons- Chicago and Marine Corps. I am so depressed I don’t even want to get out of bed when I think about it, I just want to sleep forever. I know for non-runners it’s impossible to understand why someone would want to run or run 26.2 miles for fun but for me it’s a huge part of my life and I feel broken and dead knowing I will have to defer those in the next few days. That’s all I want to say about that right now; maybe later I’ll post more about the process, training, what I look forward to about next year but right now I just don’t feel anything other than grief and numbness. Maybe I should talk to my doctor, maybe the lows have something to do with the meds I am on but this blow of losing my marathons just feels like the last bit of me has been killed by the ED and honestly, I am starting to feel too tired to fight it anymore even though I am closer than ever to treatment. So that’s where I am at. I’ve been quiet on here lately just because everything has kind of been in a standstill until I found out from the center and because I just haven’t wanted to deal with people in person or online as I processed this marathon thing, still just feeling numb and isolated but I’m trying to make the effort. My doctor is checking in weekly so I think she is set to call tomorrow or Tuesday but since i need some paperwork for her to fill out for treatment and my marathons I have to call tomorrow either way. I am going to go to HR first thing too about my benefits and time off for treatment and then call the Center. I guess I also have to deal with Chicago and Marine Corps Marathon organizers, idk. I can’t run like I used to. I’m not strong enough. My head starts pounding my body shaking like when you have the flu and your whole self feels like jello. My legs begin to buckle after just a few miles. I know it’s because I eat less than 200-300 calories right now. I can’t even talk myself into 500 like I used to on distance days. I know it’s because there is 0 carbs in those calories but I can’t I physically can’t grab the food I need. I know this happens when you drop almost 30 pounds in less than 2 months but still. In that order. 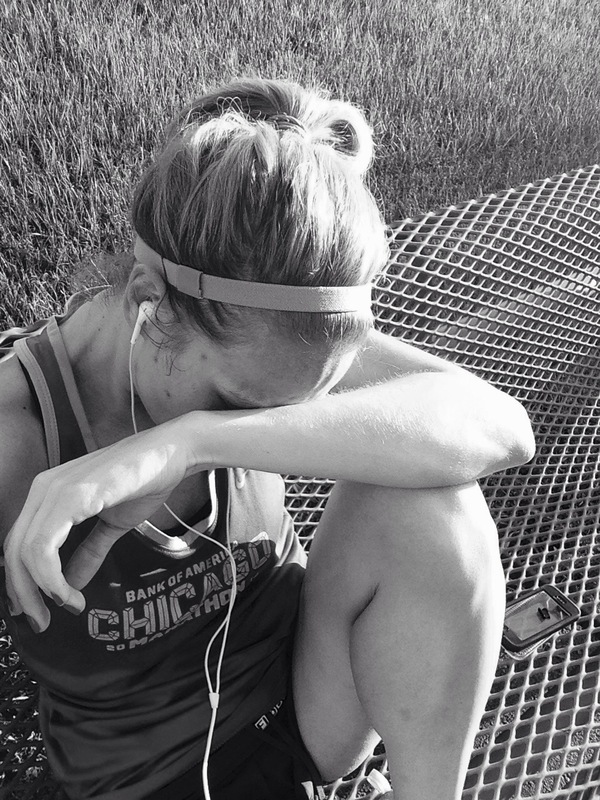 Running is so much to me and helps me so much in other ways and I am losing it. The marathons are approaching and I am losing grasp of them day by day. I wish someone understood someone could make me do this, force feed me, anything. I wish I could call my mom but idk, I’ve been so burdensome lately since she found ou that I don’t want to stress her out more (& I’m scared to be lectured). I just don’t know what to do so I am sitting on a bench on the side of the trail, crying. And watching other runners, too weak to get up and run home, too dizzy to get up and walk. I hate myself for this. Ps. Please ignore how fat I look here, I had my hydration belt on and all my trail gear with me. Well, the good news is I AM OUT OF THE CAST!!!!! The bad news, I need surgery to remove my sesamoid bone but the podiatrist said if I can handle the pain we can wait for some of my marathons to be over. The worse news, my eating disorder is stealing running from me. I went for my first run today post-cast. It sucked. I did 2 miles total and needed to stop and felt as if I was dying during it. Logically, I get it. I ate 155 calories today before I ran, none of it had carbs in it, none of it had protein, none of it had fat. I had steamed cauliflower, 3 baby carrots, 2 sugar free mints. I know that is not conducive to life much less running but I can’t stop it, I only ate the baby carrots because I knew I was in rough shape going into the run but I couldn’t do it. I couldn’t eat the carbs. Hell, I don’t even have carbs in the house. I’m so weak. I’ve not consumed over 250 calories a day for over a week now. 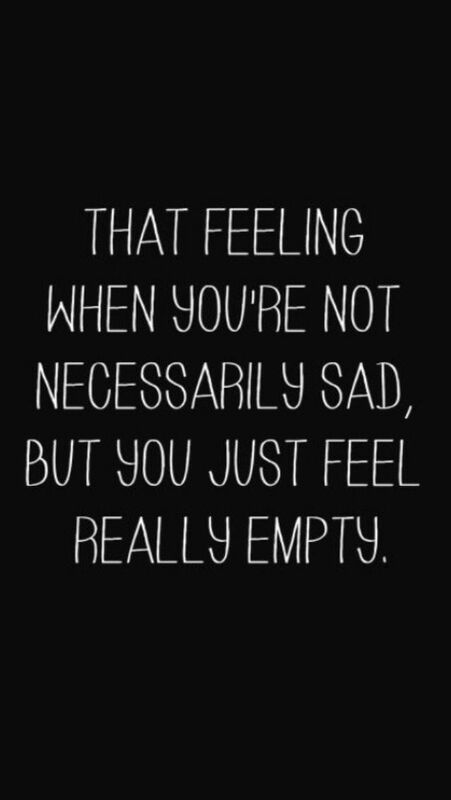 It’s killing me. The chest pain comes and goes, the black outs when I stand up too quick, the mental struggle, all of it is just killing me. I feel like my running is the only thing I have keeping me trying to eat and now, now I am losing the very thing I cherish and love. Maybe needing surgery will be a blessing. Doc says no running for at least 6-8 weeks and he would prefer 10-12. I still want to do my marathons though. I am set on Chicago and Marine Corps because both have special meaning to me but now after today’s run I feel like ED is going to stand in my way more than my need for surgery. I’m torn. I know that is hard for anyone to understand who hasn’t been through this but I am torn between something i love and something i am obligated to. The easy answer: “just eat”. Please don’t say that, it’s not that simple. If I could “just eat” trust me I would. I promised myself, after I realized my fears had warped into this, that i would never be one of those girls who let themselves suffer for years and that I wouldn’t let this thing destroy my relationships and life but yet, here I am dodging my friends, losing my ability to do the things I love, secluding myself, living a secret, living a lie, slowly killing myself each day, week, month and year. Yesterday before I saw the podiatrist I got blood work done for my autoimmune condition which means I will be getting a call from my primary doctor in a few days to discuss the results. I secretly hope they’ll somehow figure out I’m sick based on the blood work but I know that they didn’t do the blood tests necessary to discover the horrors I’ve put my body through. I know I could also just say I need help on the phone and they’d make an appointment ASAP, but I also know, in my heart, I’m not ready for that yet. Although, I keep thinking July 2 is a good date to maybe try to get help. It’s the day before I have off work for the holiday which means if I do tell, I can at least have the day off the next day to collect my thoughts and not have to face my co-workers and pretend like everything is still okay when I know in my mind it’ll feel like the world is crashing down around me- assuming they believe me. It’s also early enough that I could help and have folks help me through training, I hope. But then again, what if they steal marathons from me? That’s my biggest fear, honestly, that tops dying (again, I know it makes no sense unless you’ve handled this disease). So maybe July 2. Maybe. Until then, I have to make it through one of my best friends’ wedding, bachelorette party, rehearsal dinner and bridesmaid luncheon, a day of shadowing and somehow figure out how to not have a panic attack because of all the unsafe food, stress making it look like I ate, purging all the unsafe food that I may eat and people around. And I somehow need to figure out how to acclimate my body to running in this state again. Because above all else, I can’t lose running. It’s been there for me longer than my ED has. It keeps me moving forward (in more ways than one). I can’t lose it. It’s the only piece left of me that I still control. It’s all I have left. It’s here, it’s here, it’s here!!! National Running Day! A day for runners everywhere to have a reason to run- oh wait, we run even when we don’t have a reason! But today is even more of a reason to run and to celebrate, encourage, welcome new runners, and challenge yourself as an athlete. Today I precisely ran 0.0 miles. Yup, nothing. It is killing me. On National Running Day I am in a cast and banned from running. To make matters worse, tomorrow I am going back to the podiatrist to *cross your fingers* hopefully get out of the cast which really just means the appointment is a mere 22 hours away and therefore National Running Day is just taunting me. Evil. But I have TONS of running planned as soon as I am out of this boot and back in my sneakers where I belong. Well, technically back in both my sneakers- I’m wearing the left one currently. Fall marathon plans are amping up and I need to whip my bum back into 20 milers in order to get some PRs this fall and some cool medals for my wall! Chicago, Marine Corps, Best Damn Race (a smaller race organization in FL), Dopey Challenge (at Disney) are all coming up between October and early January. I also wanna throw a few November 1/2s in there too. Of course, all that is contingent on this foot of mine. Anyway back to National Running Day, since I can’t run today I am going to get as close as possible to running: aqua jogging. It just sounds awkward. Actually, I am sure it looks awkward too but I need to exercise and I need to do something other than stare at my foot and wait for the next 22 hours to pass to hopefully be cleared to run so with that I am off, off to aqua jog. And do laps- I am training for a triathlon too (plus, that looks less awkward haha). So Happy Running Day Runners everywhere. Run a mile for me or even just a minute depending on your skill. Remember it doesn’t matter how fast, long or hard you go what matters is that you go out and run! PS. Tomorrow if I am out of this boot, I am totally making up for not being able to run today. Last Wednesday I was sanctioned to a month of being in an air cast for my chronically broken sesamoid bone and the sesamoiditis that it is causing. My doctor wanted to put it in a hard cast and immobilize fully but I promised that I would only take the cast off when I was (a) sleeping or (b) showering and that exercise will consist of upper body weights, swimming and biking (but no standing on the bike while riding). To me, this seemed like certifiable torture. I don’t like biking because it hurts my bum and I don’t like swimming because I always feel uncomfortable in a bathing suit and I am just not efficient enough in my freestyle stroke to be good at it. Last Friday I went to my gym, OrangeTheory and my trainer was AMAZING about letting me know how we would adjust the class schedule so I could still come to class. In case you don’t know what OTF is, you go take a class with x number of other people (no more than 24 usually), alternating between the treadmill, ergs (rowers), and a weight room (with med balls, dumbbells, benches, bosu balls, SBT bands, etc). So the predesigned schedule doesn’t necessarily work when you can’t do lower body, rowing (my fave!) or running (my ultimate fave!). But while I HATE the bike, I decided to embrace it and swimming. And now I have set my sights on something I would never do: the Triathlon!!! And, I am excited about it! I am starting to get used to the bum soreness after biking and swimming I am just practicing getting better. I am going to get a swim coach at least for a few lessons to work on my efficiency with freestyle strokes and breathing and get better at that. I am a solid swimmer, I’ve just never done it competitively and that’s the part I am most worried about. Right now, I am aiming for an August triathlon! It’s a sprint tri so it will be a short tri distance and will have a 1/4 mile swim, 10 mile bike and 3.1 mile run. If I feel ready I may go to the full tri distance for this race which is double the distance of all of those (1/2 mile run, 20 mile bike, 6.2 mile run). I don’t have a super snazzy tri bike but this one allows road bikes, which I do have and I think it’ll work well for my first one at least until I decide if I like doing triathlons. My only concern is changing clothes (?) I am not sure how that works or what but being in a bathing suit and changing clothes is something that makes my skin crawl. I hate thinking about me being at all exposed in front of people. Heck, I hate even being around people but I am just going to try and think of the bigger picture and focus on my goals. For now, I am going to continue using the bike at OTF during my workout (as if I have a choice), jump back into marathon training once I am freed from the cast monster, and work on my swimming at my pool just doing about 30 minutes of laps every few days. Once I am out of the boot though I am going to take a swim class and try road biking a few miles every week too. But goodness I miss running. I can’t wait for the trails, pavement and pounding of my feet. Well, A while ago I posted about entering the lottery for the Chicago Marathon. And the results came out… I’m in. Now, I’m a bit delayed in stating that because well, it was announced last week and while I spent the whole day at work on lottery results day hitting F5 on my computer in anticipation and then actually ran down the hall to tell a friend when the screen finally changed green at 3:14, I still feel a sense of dread associated with it. Don’t get me wrong, I am beyond excited to go (I even already booked my flight and hotel- which is much more than I usually do for trips 5 months away) but I think my excitement is dulled by fear. 1. Last year this race was MY race. I ran flawlessly, made my time goal, felt tremendous afterward, walked around the city the next day, felt so good 2 days later I went for a run, never hit the wall, took in the whole experience and enjoyed the whole thing. So why am I scared? That’s a LOT to live up to and I am a perfectionist. 2. My mom is coming- SOOOOOOOOO Excited because she didn’t get to come last year and this will be the first marathon she sees me run! But, my mom is coming. My mom. My mom who worries about what I do/don’t eat. My mom who doesn’t know about how badly I struggle with food. My mom who will be with me in the hotel, the day before and after and will realize how little I do eat and will comment. My mom, who if I end up getting help for this eating disorder before the race, may or may not be the help I need before the race. 3. Temptation. Chicago has a reputation for good food. I can vouch for it. When I am there I would love to taste a bit of it and enjoy it but it’s so laced with dread, hate and fear that when I am forced to eat, I throw it up and that comes with it a whole other set of fears (what if someone hears? what if I can’t get to the bathroom after the meal? what if I can’t purge it all? what if someone sees me eat? what if they think I am eating too much? what if they comment? what if I get sick? what if I get fatter?). 4. The boot. That’s right, I am in an air cast. I have a “traumatized shattered sesamoid bone” according to my podiatrist (or some combo of those words) and we have been trying everything conservatively for the last 15 months but I still have horrendous bouts of sesamoiditis so I am currently in an air cast and the only thing that kept me from getting a full blown hard cast is that I promised him that I would only take it off when I (a) shower (b) sleep. It’s been 4 days and I am dying to go run. I miss it so much and as much as I hate to say this, I am scared to death of having extra calories in me. The good news is I have been wanting to train for a triathlon so I started swimming in the mornings and my trainer at the gym said I can still come to class (I go to OrangeTheory- look it up it is fabulous) and that we can modify it so I only bike (no standing and pedaling) and do upper body per doctors orders. So here I am with both of my must do marathons this year. On my way to Marathon Maniac status and I still have so much dread. I know it’s 99.99% due to the eating disorder. My sister’s birthday was yesterday and the restaurant she chose to go to is on the COMPLETELY FRICKIN UNSAFE list and when I found out that’s where she was going, I refused to go. My mom called today because I “seemed off” yesterday. I wonder if she’ll connect the dots, probably not though. Sometimes when these things are right in front of you, you are the most blind to them. I should know I have been convinced I am getting better….in all honesty though, I think I am worse than ever. Hell, I flaked on my own sister. I am contemplating flaking on Mother’s Day tomorrow too. Anyway, I still remember my goal from my Chicago Lottery post: I am going to try and eat one meal, just one while I am in Chicago. But, I am really not sure I can do this. I am already anxious.